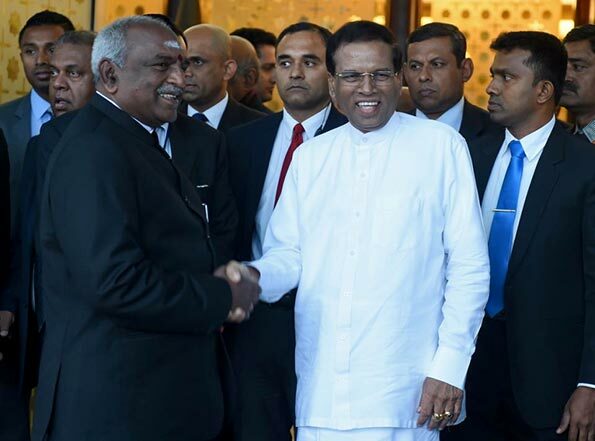 Sri Lanka’s new president arrived in India Sunday on his first foreign trip in office, trying to rebuild ties hit by tensions over growing Chinese influence on the strategically located island. Maithripala Sirisena landed in New Delhi for the four-day trip aimed at allaying Indian fears over China’s influence on the island that strengthened under President Mahinda Rajapakse’s decade-long rule. Sirisena, who defeated Rajapakse in a presidential election last month, was due to hold talks with Prime Minister Narendra Modi on Monday, and will later be guest of honour at a banquet. 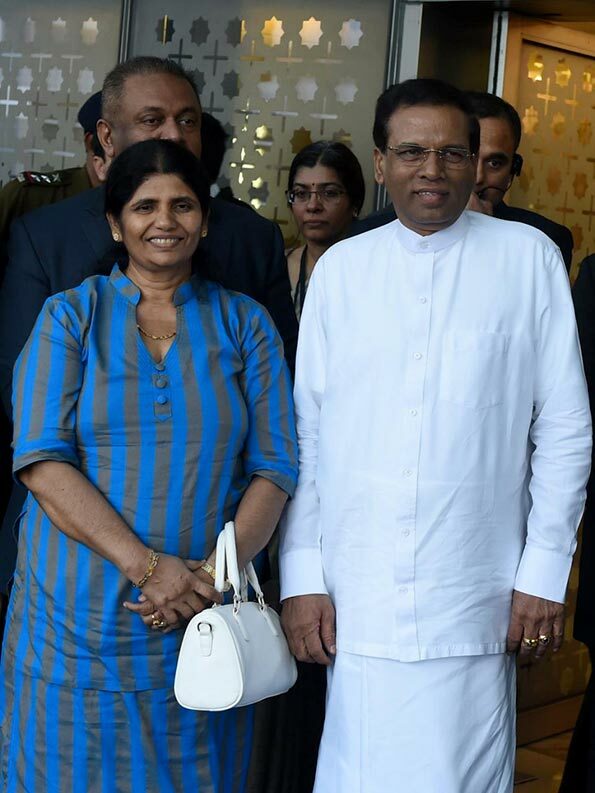 Sirisena, accompanied by his wife Jayanthi Pushpa Kumari, waved to waiting media before being greeted at the airport by India’s junior minister for shipping P. Radhakrishnan. India has long considered Sri Lanka to be within its strategic sphere of influence. But China ploughed huge sums into Sri Lankan infrastructure projects, becoming the country’s biggest foreign financier and enjoying significant political and even military influence under Rajapakse. Critics say China is trying to develop facilities around the Indian Ocean in a “string of pearls” strategy to counter the rise of its Asian rival India and secure its own economic interests. “A first visit is always an opportunity to set directions. President Sirisena will be welcomed warmly in Delhi,” India’s foreign ministry spokesman Syed Akbaruddin told reporters ahead of his arrival. Sirisena is expected to try to secure greater Indian investment in Sri Lanka, which said last week it was seeking an international bailout of more than $4.0 billion. Sirisena will also travel to the Buddhist pilgrimage site of Bodh Gaya and a Hindu temple in Tirupati further south on Tuesday before leaving on Wednesday.